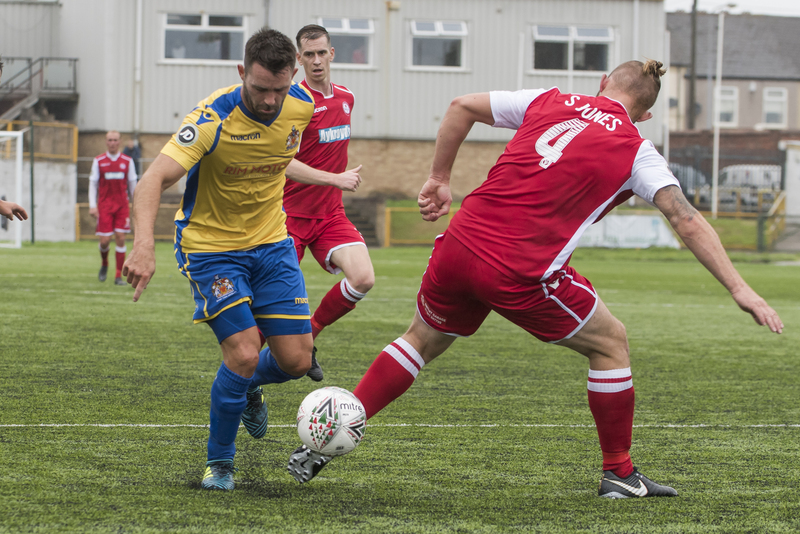 Barry Town will have their sights set on returning to second-place in the Welsh Premier League when they host Bala Town in tonight’s televised fixture (7.45, Sgorio). Barry dropped to third-place last night after title rivals Connah’s Quay and The New Saints both recorded convincing victories. And the onus will be on Gavin Chesterfield’s side to bounceback at Jenner Park after they were left empty handed from their Phase 1 opener at Caernarfon Town last weekend. Bala Town return to league action for the first time since January 12 after their opening Phase 2 fixture against The New Saints was snowed off last weekend. The Lakesiders have been proactive in the January transfer window and three of their four new additions Anthony Stephens, Shaun Kelly and Keighan Jones could all feature for the first time. Josh Williams misses out due to suspension. Danny Gossett will not be involved after it was confirmed the former Bangor City midfielder has joined Cefn Druids on loan after falling out of favour at Maes Tegid. Wales C international Gossett had made 16 (9) WPL appearances for Bala this season. Llandudno are four points adrift at the foot of the table and 10 points off safety ahead of this afternoon’s clash with Carmarthen Town. Llandudno have nine games in which to turn their season around but face a stiff test against a Carmarthen Town outfit, who visit the Giant Hospitality Stadium in search of a third straight win following last weekend’s victory over Cardiff Met. A win would move the Old Gold up into eighth-spot.